This festive season, take a magical journey into the enchanting world of Moscow’s secret night life as you enter the glittering Tsar’s Palace. 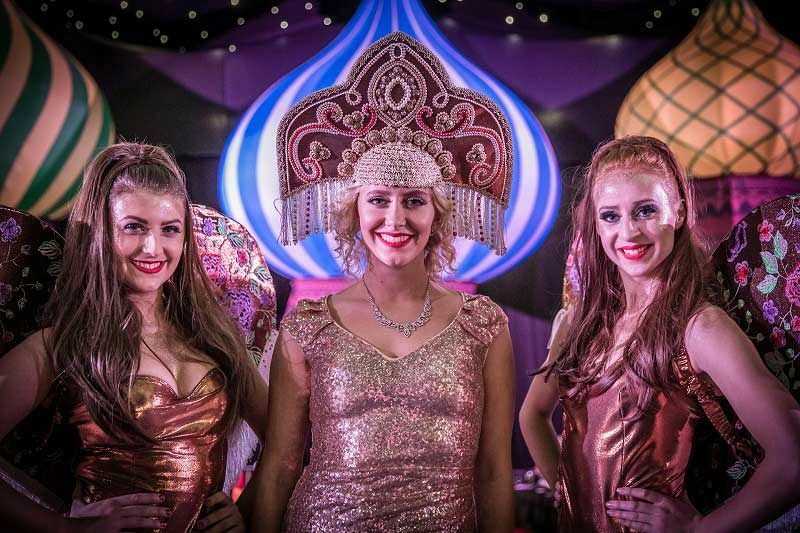 You’ll feel as though you’ve truly been transported to Russia with an evening at this fantastic venue in Reading, that’s filled with intrigue and wonder. 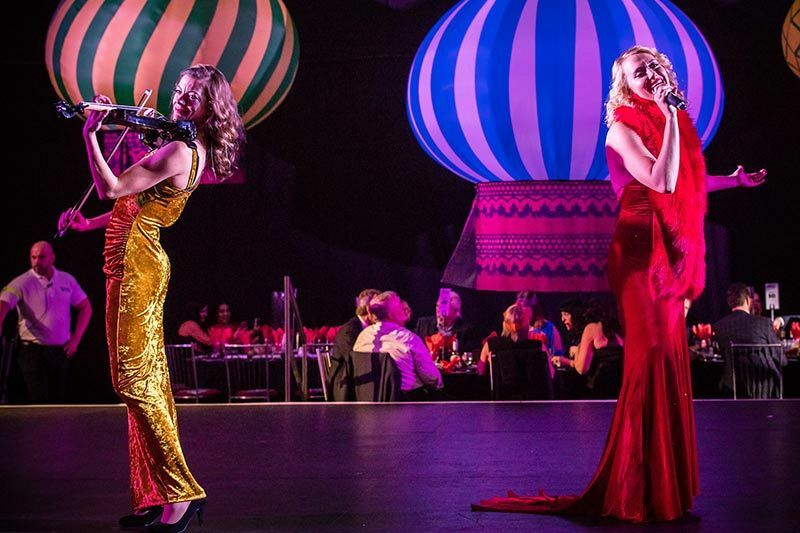 This 'To Russia With Love’ shared Christmas party promises guests a spectacular celebration, so prepare to put on your most sophisticated party attire and round off the working year in style! Russian Forests welcome you into an authentic Cossack encampment complete with snow clad pine trees. Dine with your fellow colleagues on delicious hot and cold canapés and relax with a tasty martini from the glamorous ice bar! 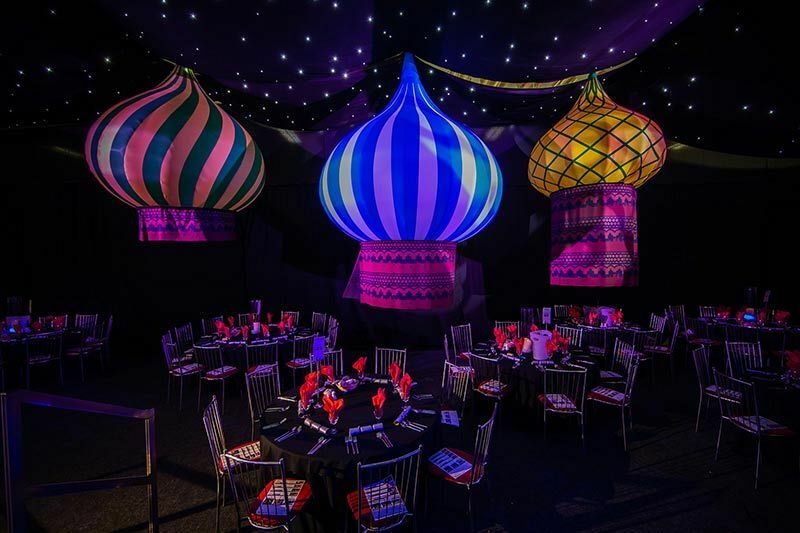 It won’t be long until the beautifully lit dining room set in a Tsar’s palace is revealed, where guests will marvel at the stunning St Basil’s cathedral backdrop. A three-course meal, prepared by a high profile, award winning catering team using fresh ingredients will please every member of your Christmas party. A delicious cheese buffet will be available at an ongoing station after your dining experience. 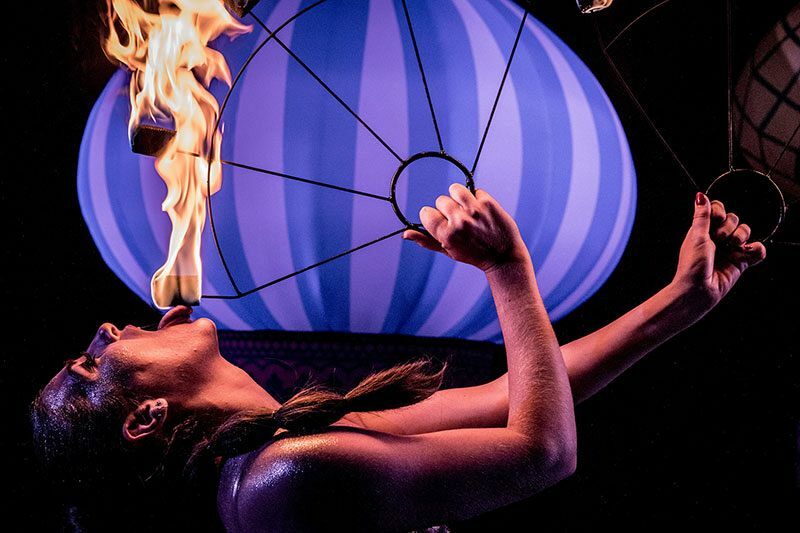 As you dine, you’ll be entertained with an incredible Martini glass act, the spectacular Bond Girl performers, and watch in delight as the Cossack sword dancers clash steel with one another. The entertainment will come to a heart pounding conclusion with the Cossack dancer finale which will take your breath away! After the dining experience, the night is yours for the choosing - take a spin on the dodgems, dance in the state of the art disco, strike a pose for the professional photographer, or play a hand at the casino like a true James Bond…Only the daring will make it to the survivor’s breakfast at half past midnight and enjoy a brioche bacon roll or a vegetarian sausage bap! Book this shared ‘To Russia with Love’ Christmas party in Reading today, to secure your places!